In Magic: The Gathering: Heroes of Dominaria, each player takes on the role of a powerful hero as they travel to the lands of Dominaria. As the player explores the ancient lands, they will need to build sites, rediscover lost artifacts, and confront the sinister Cabal in order to gain the resources needed to save the Multiverse before rival heroes do. 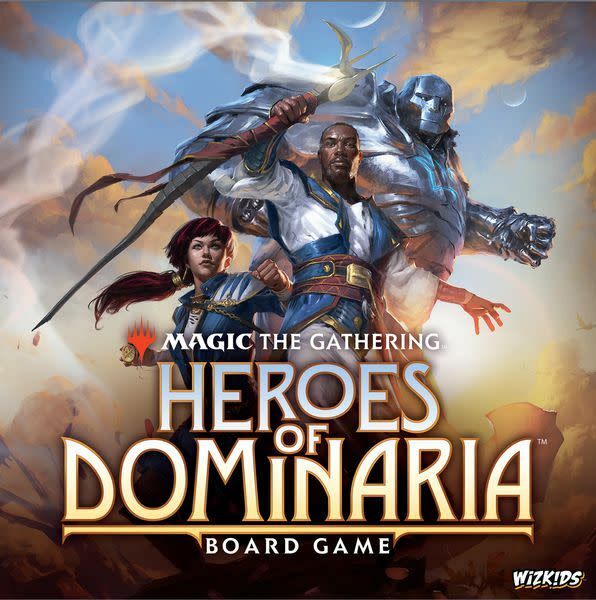 In this Eurogame designed for 2 to 4 players, explore Magic's most iconic plane, and experience the trials and tribulations of being a heroic force on Dominaria. Visit storied locations such as Llanowar, Urborg, and Keld. Draw mana from the world to power abilities and recruit heroes to aid in quests. Discover powerful artifacts and create leylines to draw even more mana from distant lands. Build sites to increase your bond with a location. The land of Dominaria is filled with adventure and excitement! 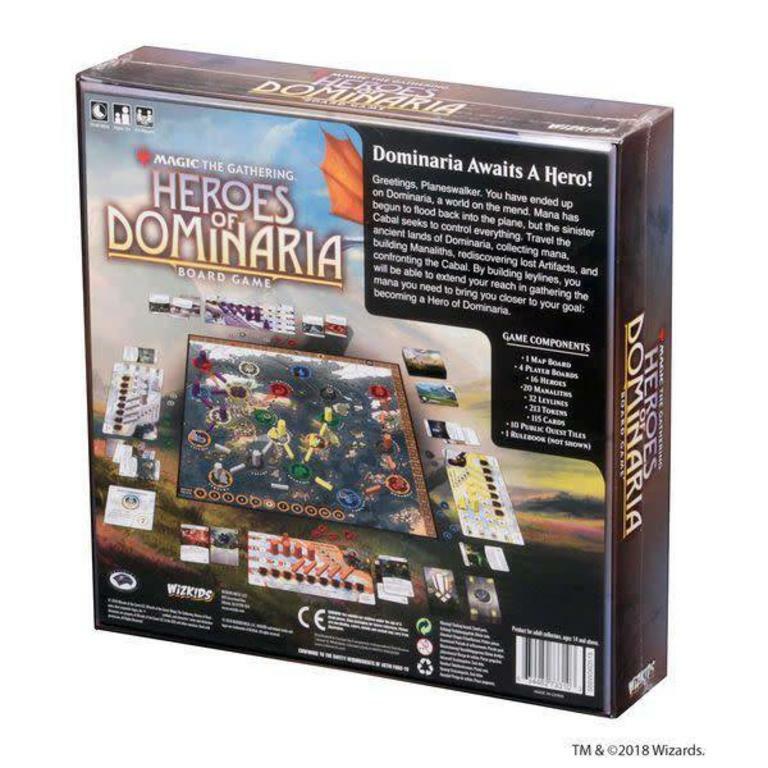 In true Eurogame fashion, use strategy to score the most victory points and emerge victorious. Each booster pack includes 15 cards to add to your collection and you can expect one of those 15 to be a rare or mythic rare! Some packs even contain a premium foil card. 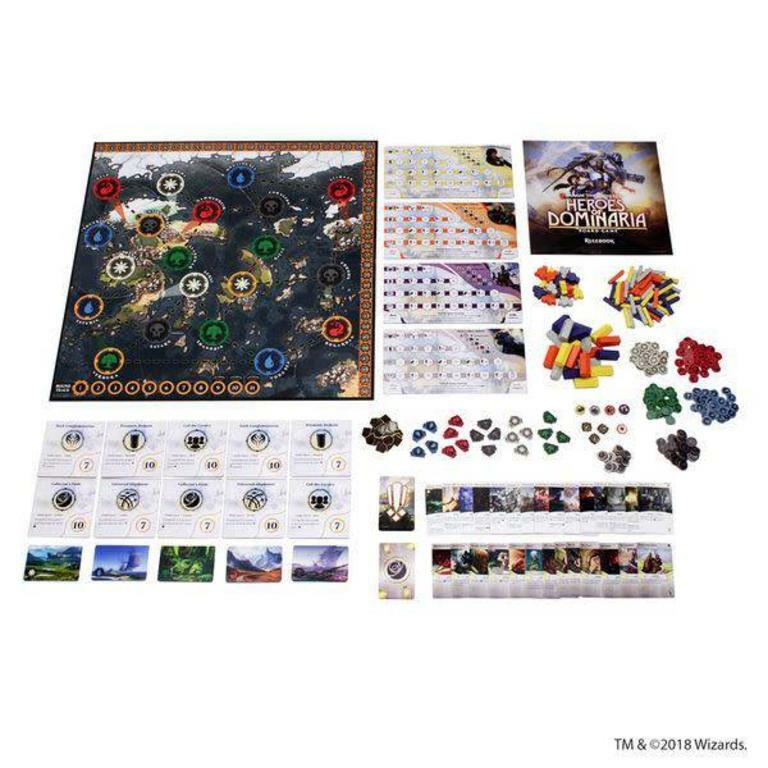 Comes with 4 exclusive pre-painted miniatures.